You know that funny face people make when they are skeptical about trying something that looks or sounds strange, and when they finally agree to try it, they are surprised that it actually tastes good? Well, that was us… and you could be next! We have been thinking about posting another beverage recipe made with our hydroponic veggies. As it turns out, it is not so easy to choose something that would not give the instant feeling of: “ugh, are you serious? That must taste like medicine” or “I would rather have a super fruity smoothie, or even a soft drink”. But, we finally found a recipe we liked for our celery! 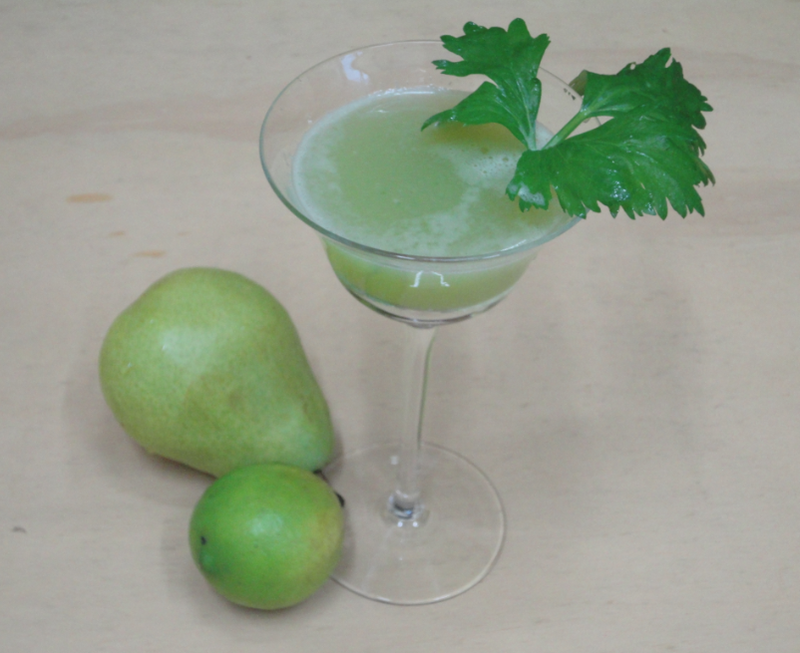 The key here for the sweetness is the fruit; in this case, we are using pears, but you could also use green apples. Although Annie’s recipe is very different, we loved her inventive way of selling it to her son, by giving it such a cool name! How would you name our juice to persuade a child (or your inner child) to try it? Chop the pear, discard the seeds. Chop the celery stalks. Place everything together in a blender. Pulse several times until it has shredded everything. Strain the liquid, use a spoon to press the mixture to get the most juice out, and chill for 30 minutes or serve with ice. Note: if you have one of those mighty juice makers, you could drink the whole mixture. Source: Adapted from Essential Wellness. Categories: Celery, Recipes | Tags: beverage | Permalink. 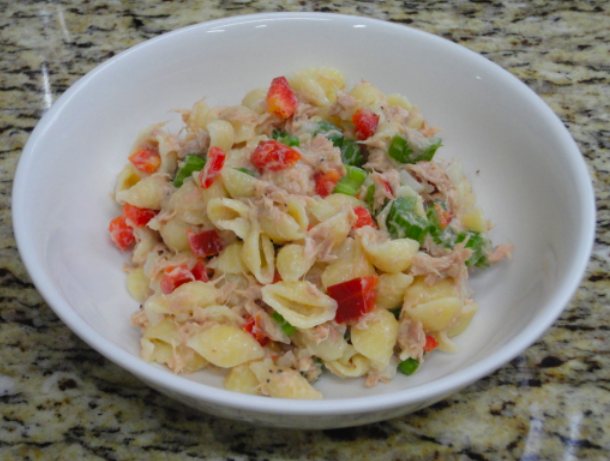 We like today’s recipe as it incorporates four of our hydroponic veggies: celery, scallion, bell pepper and lettuce. We also like it because it is very fulfilling and practical for making a quick lunch or dinner. 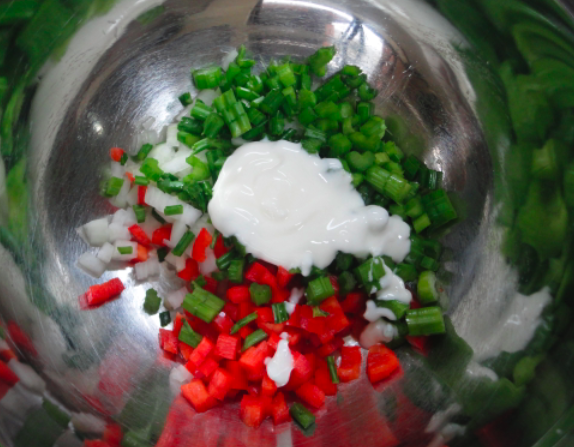 In a medium bowl combine the first seven ingredients. Warm the sandwich buns. Place a slice of mild cheese, like Provolone, and a lettuce leaf on each of the buns. Fill with the chicken salad and you’re done! 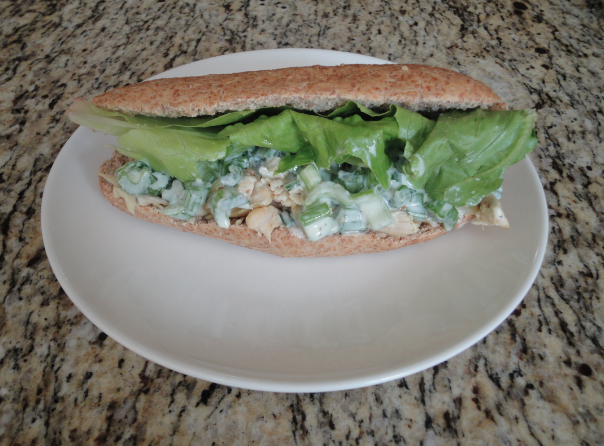 Categories: Bell Pepper, Celery, Lettuce, Recipes, Scallion | Tags: chicken, dinner, lunch, natural yogurt, sandwich, sandwich buns | Permalink.